We love families at Grace River Church! When you come on Sunday at 9:00 or 10:30, you’ll be greeted by a volunteer and others who gather to share coffee and friendship. While we’re visiting prior to the service, that’s a great time to enroll your children, age 6-weeks to 5th grade, into our fun, active kids’ ministry so they can learn about God’s word in a way that they can understand. 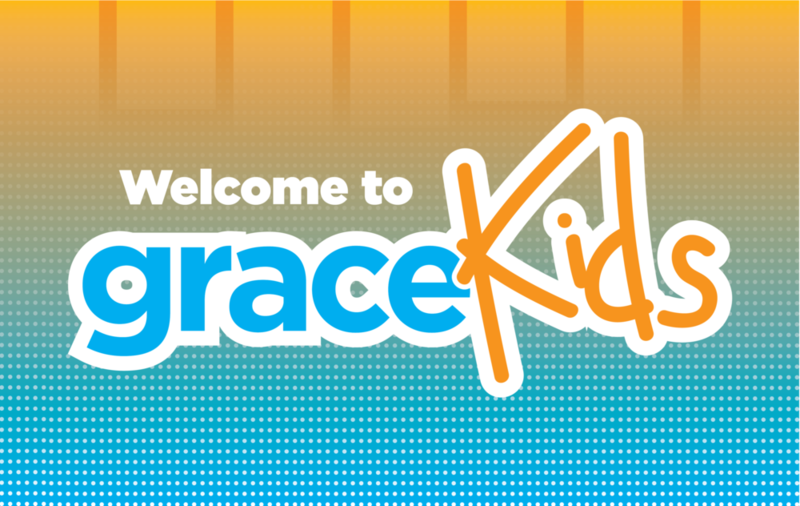 GraceKids is our children's ministry designed for infants from 6 weeks old to kids in the 5th grade. Our GraceKids leaders know how to interact with all ages and inspire learning that means something to each age group. Your kids will have fun in a number of different ways with a God-centered lesson that is age appropriate. Our kids’ ministry operates with highly-skilled and vetted children’s ministry workers who have gone through background checks so you can rest easy that your kids are having fun and they are safe. Your children will only be able to be checked in and out by you and the room is kept secure from those not registered. Our Church Community Builder is how we stay connected with each other, find upcoming events and volunteer opportunities, and check kids in and out of GraceKids. You can sign up for a Church Community Builder account when you visit us on Sunday morning at 9:00 or 10:30, or by clicking here. If you love kids and Jesus and want to help us with our growing kids’ ministry, please let us know by going to our volunteer page,using button below, or contacting us, 636-389-6160. We would love to have your help. Be sure to join us this Sunday as we gather for friendship, music, and God’s word. If you’re on Facebook, be sure to follow Grace River Church for news, updates, and fun. See you soon!